New stock here at Footprints! 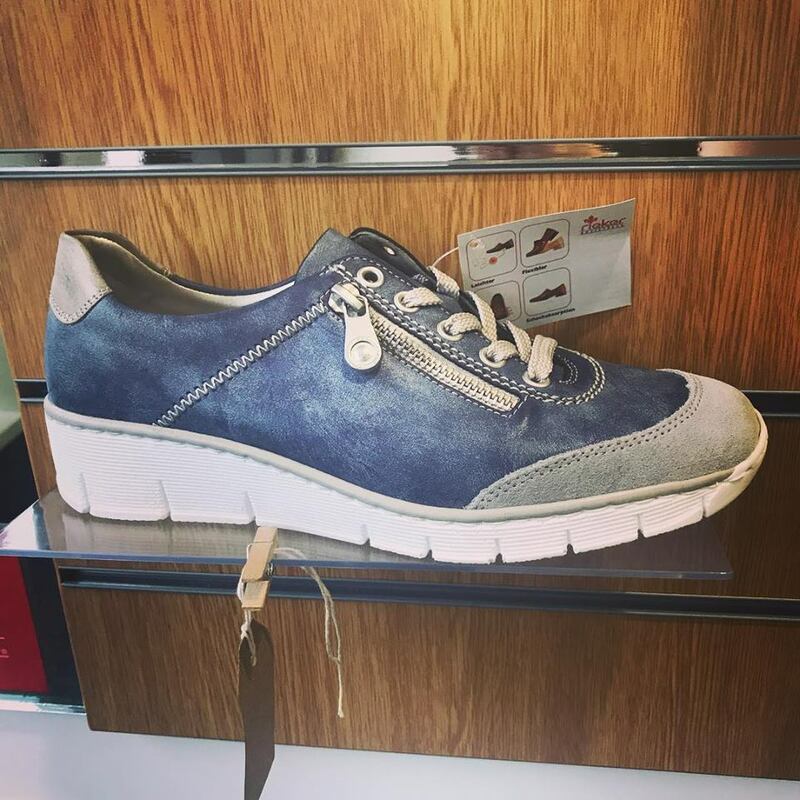 Rieker denim blue and grey wedged trainers with a decorative zip. Comfort and style in one design, available now!